The house where I grew up wasn’t far from the edge of the market town of Beverley. We lived at what was known as the push end called Molescroft. I’m not sure about it being posh, it was certainly the newer end of that ancient place. There’s been lots of development since those times and the house is no longer as close to the edge of town. Beverley is surrounded by many villages mostly picturesque and distinctly rural. These are the type of villages that feature on British drama programmes that they hope to sell to an American audience. They have a wonderful set of names too Bishop Burton, Cherry Burton, North Cave, South Cake, Walkington, Tickton as well as the gloriously named Wetwang. The nearest village to where we lived was probably a quaint rural village at one time but it had mostly been subsumed by a large RAF base built not long before the Second World War. During the Second World War it had been part of Fighter Command and hosted Spitfires during the Battle of Britain. While we were kids, though, there wasn’t that much flying going on. My understanding, after doing a little research, is that by then it was a maintenance unit with planes flown in for work and flown out when completed. If you stood at the end of our road, which finished near the top of a small hill, not far from the top allotment, you got a good view of the runway and an even better view of the hangers. 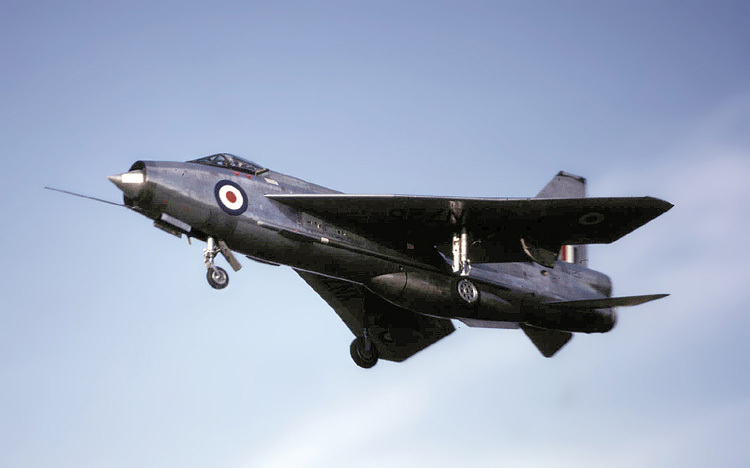 The planes I remember the most were the English Electric Lightening and the Avro Vulcan. From our view of the runway it was fascinating to watch the Lightening screaming down the runway until a parachute was fired out of the back slowing it down significantly. I often wondered what would happen of the parachute was to break. I’m not sure how often the Vulcan visited; the one a remember was showing its prowess at a splendid local Air Show and Open Day. I’ve found some pictures from 1974 which are just how I remember it, I’m not sure whether this is the same day as the one a remember, but it’s about the right time. At six, if that’s when it was, this arrow shaped giant was fascinating as it flew over our house and rattled the single paned windows, amazingly agile for such a large aircraft. I had no idea of the purpose of these aircraft during those days of the Cold War, for me they were entrancing roaring giant birds. I’d never known real war, I’m not even sure that I even knew about the cold war at that age. 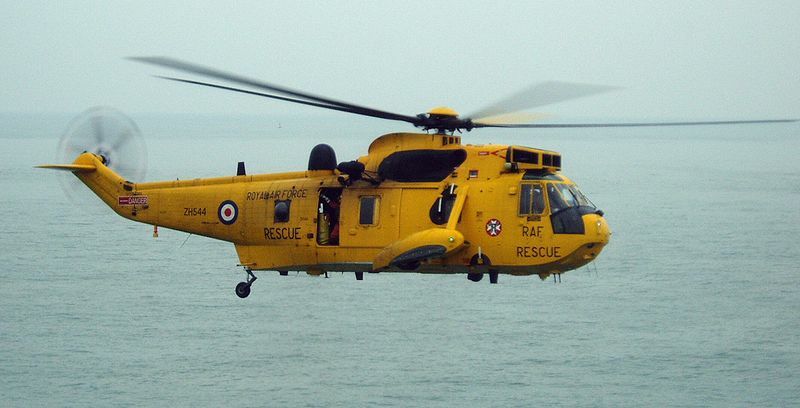 Being close to the North Sea the airfield at Leconfield was also home to RAF Rescue Helicopters; first it was the Westland Wessex followed later by the Westland Sea King which looked so much more prepared for the job it was being called to do. They would fly in and out low over our house sometimes hovering in their splendid high-visibility yellow paintwork. We would regularly stand in the back garden and wave to them, sometimes we could see them waving back as they leaned out of the open side. I would imagine what it would be like if they lowered the rope down and took us for a ride, sadly, they never did. A few years after the glorious Vulcan acrobatics the airfield changed its use and became the home to the Army School of Mechanical Transport. The Lightening and Vulcan were replaced by Trucks, Tanks and Land Rovers. The flat land around the runway was turned into hills and gullies providing off-road experiences. The roaring noise in the skies became extra vehicles on the local roads. In the army you could learn to drive at 16; seeing these boys who didn’t look much older than myself drive such large vehicles was amazing. The locals soon became adept at knowing how to avoid the delays caused. On one particular day in 1982 the vehicles streamed out of the base on their way to a ship, the Southern Ocean and war. It was the talk of the school the next day, I missed it completely, in the coming weeks I would learn what war was as the images were shown on our televisions. I went to Leconfield to do HGV driver training aged 18 but due to an incident with the police (speeding) I had to leave early! I do remember the RAF rescue helicopter waking me up at night as it took off. Its certainly strange to see so many HGVs being badly driven around the town and also due to the large amount of Soldiers the local pubs had military police on the doors! Other than that it was a nice place. I didn’t realise that Paul. What a small world.